This 9-part video course is designed to show you exactly how you can quickly and easily get more people to buy your products and services after watching your webinars! 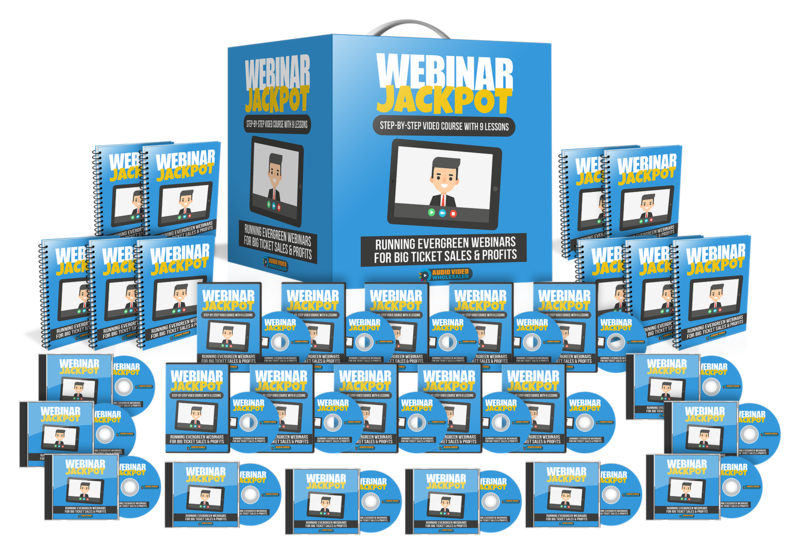 We all know that running webinars to sell your products and services is extremely profitable. But once you have your webinar replay in hand, what next? How do you get people excited about buying your products or services? How do you get more people to take action even if they’re busy? You see, one of the biggest mistakes that we see business owners or online marketers make while trying to monetize their webinar replay, is not writing an effective email autoresponder series and not setting their webinar funnel up properly. How would you like to learn how to convert your prospects from a proven webinar blueprint? Before we begin, we need to talk about what you need to have to get started correctly. We'll talk about the right mindset that you need to be in to properly and successfully implement this blueprint. You will also be given a quick overview of the video course as a whole and see how the blueprint is broken down so that you can implement everything at a fast pace. While the secret to conversions is really in your autoresponder follow-up email series, delivering your webinar correctly is also very important. In this specific video we will be talking about three different platforms that you can use to ensure you do it right. Aside from the technology in platforms that you will be using, creating a high converting email course is important to getting your prospects to buy and take action. As such, in this particular video you'll be given an exact breakdown of the formula that we will be using in this particular blueprint. So, in order to begin with showing you how to properly write out your email series for your product and service, we will start with the very first one, which is the welcome email. The benefit angles are emails that are in between the welcome email and the closing emails. These are crucial not only for building trust, but also for allowing your prospects to really see why your product or service is so unique and is something that they need to have. To give you some real-life experience and help you to create your own email, you will get to take a look at an email you can swipe and fill in with your own product and service information. The last two emails should be The Countdown and The Final Close. These two emails are crucial to getting as many sales as possible because they use scarcity. Don't worry if you don't know where to start, as we will show you how to write these two emails step by step, by using emails proven to work. In this particular video we will discuss how to set up your webinar page, how you can host your videos, and how to set up user-specific countdown timers that will disappear based upon the user that visits the page. Now it's time to get the emails you created onto your Autoresponder. Before we discuss how to do this, we will talk about how to set up your plain text and HTML emails. Series with GetResponse Once you have your emails in hand, it's time to get them onto your favorite Autoresponder. It doesn't matter what autoresponder service you use as this will work for all of them, but in this particular video we will be using GetResponse. Grab this video course now so you can start converting more webinar prospects into loyal customers!